We surveyed a sample population of randomly selected adults (18-60 years old) in our target market across the United States, to validate key assumptions behind various features of SacreServ platform. An overwhelming number of those users validated these assumptions adding to the enthusiasm and momentum and prioritizing the roadmap for this platform. 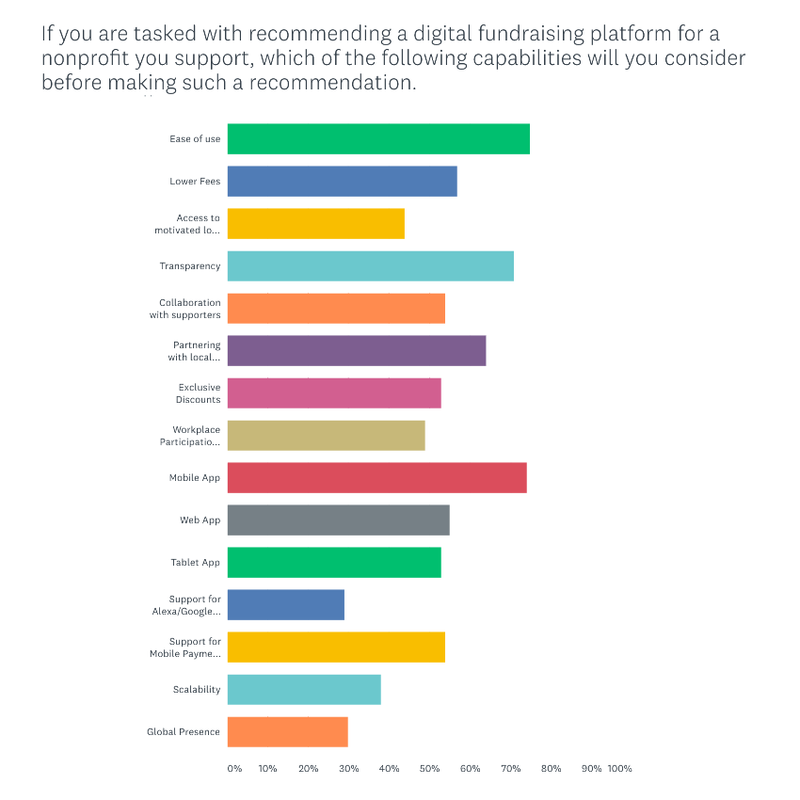 It didn’t come as a surprise, there’s widespread support for nonprofits across the board with over 90% of the audience had supported a nonprofit in the last 2+ years and more than a half had supported one or more nonprofits in the past three months. Almost half (48%) of the audience indicated that their support and engagement with the nonprofits in their community will increase if there were an app which showcased their work. 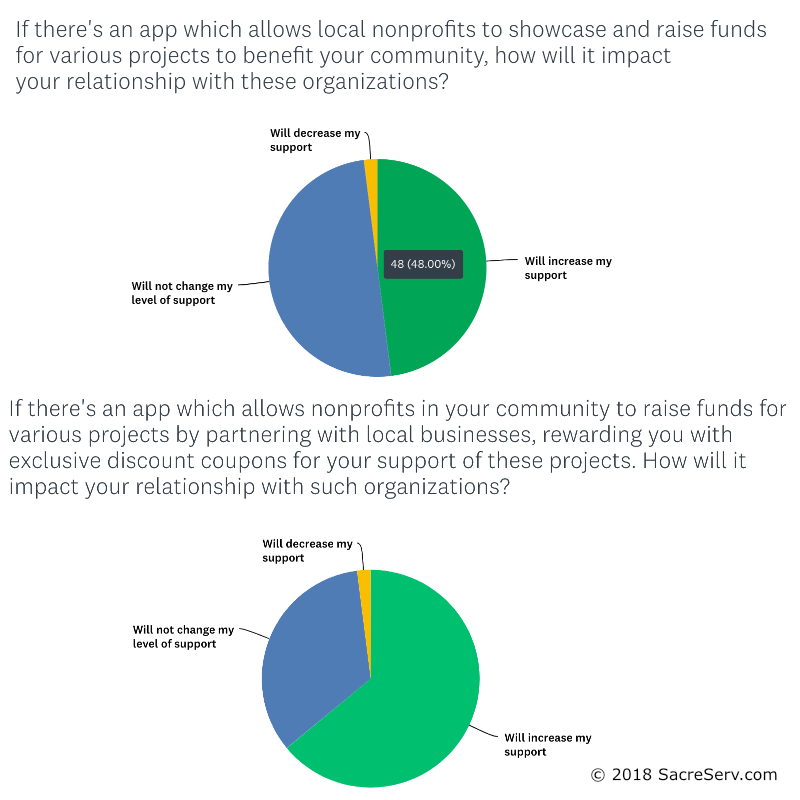 However, when the prospect of discount coupon incentives was introduced 64% indicated that their support and engagement will increase with their local nonprofits. 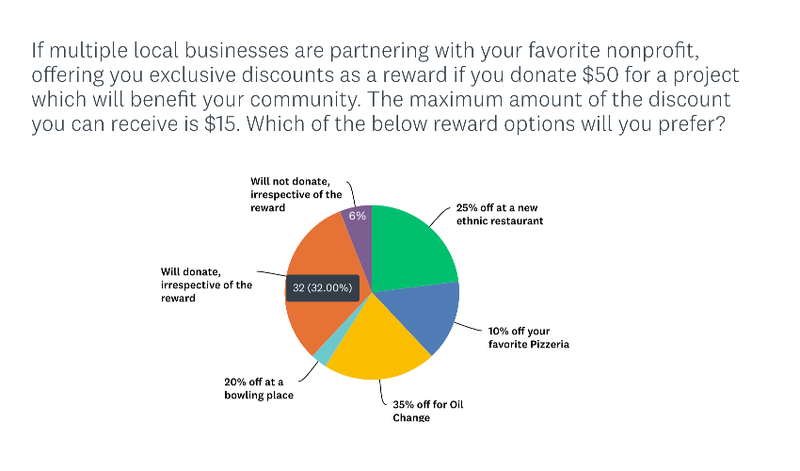 For a sizable part of the audience, no discount coupons or incentives are needed to win their support of their favorite nonprofits, which is understandable. However, among those who would like some incentives, restaurants/food joints and common service providers were the most popular places. 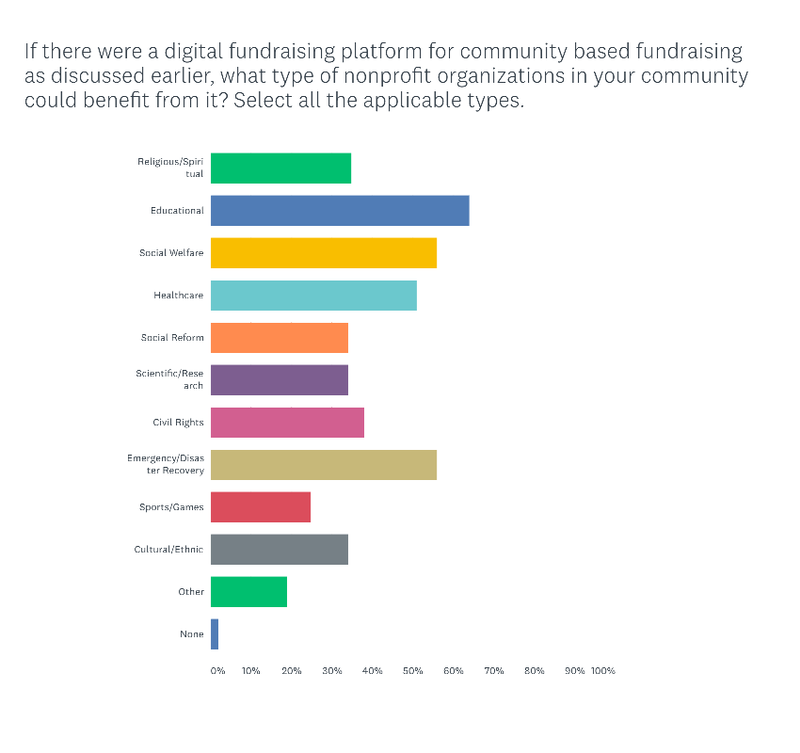 When the audiences were asked about the features they would look for in a community building and fundraising platform, their top three concerns were ease of use, broader reach (Mobile/Tablet/Web Apps), transparency followed by partnerships with local businesses, lower platform fees and a host of other features. The audience also confirmed our understanding that a digital platform like SacreServ is more suitable for nonprofits in Educational, Social Welfare, Healthcare and Emergency/Disaster Recovery sectors, followed by Civil Rights, Religious/Spiritual, Social Reform, Scientific/Research and Cultural/Ethnic organizations.